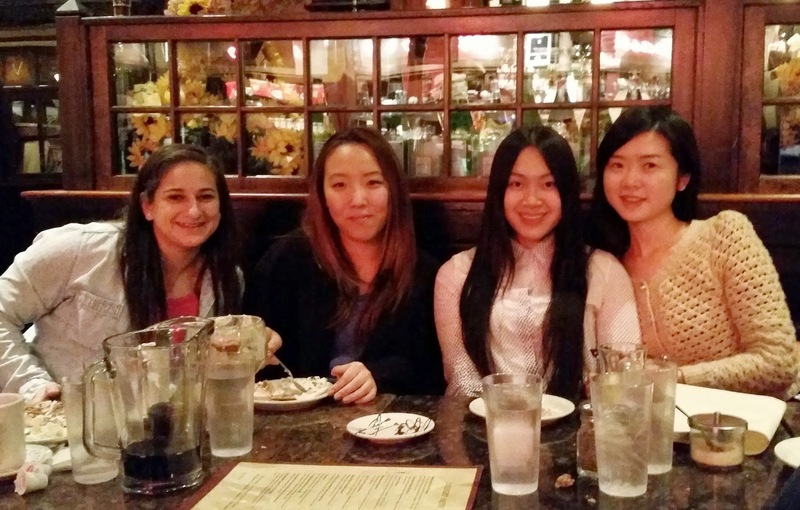 Hofstra Student Life: Flavors of our Neighborhood! 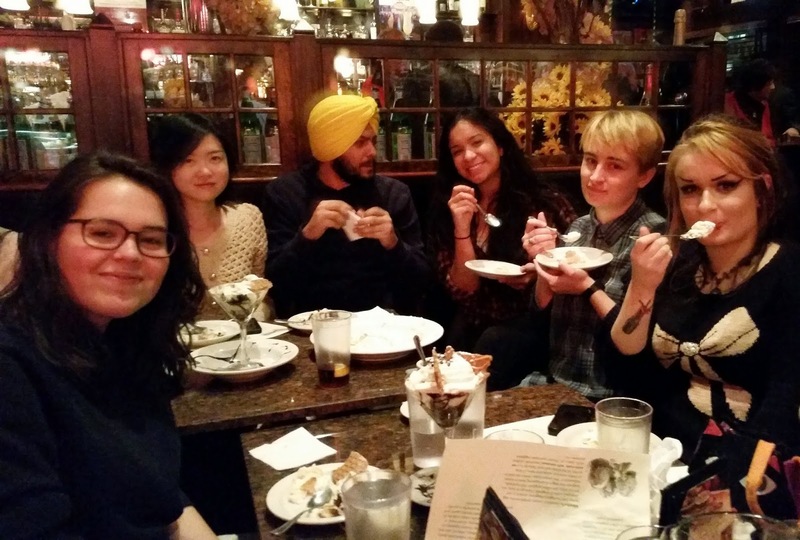 The latest trip for the Flavors of our Neighborhood series was to Vincent’s Clam Bar in Carle Place on November 20, sponsored by Off Campus Living and Commuter Student Services (OCLCSS) and the Multicultural International Student Programs Office (MISPO). Close to Hofstra, ambient, and delicious, this authentic Italian experience was extraordinary! To our delight, the theme song to The Godfather greeted us when we arrived! The restaurant was buzzing with lively chatter, and lights were strung overhead. We passed a giant wall of sauces by the entrance and the famous clam bar along the left wall. and about the distinct Italian-American culture that emerged from the arrival of many Italian immigrants in the early 1900s into the United States, including her grandparents. As we listened, we noticed Italian culture bears many similarities to our own. • Cannoli, ice cream, tiramisu for dessert! At the end of our lovely dinner, Anita introduced us to Bobby, who opened Vincent’s of Long Island with his brother. He started as a waiter in the original Vincent’s restaurant in Little Italy, Manhattan, which is still open today! 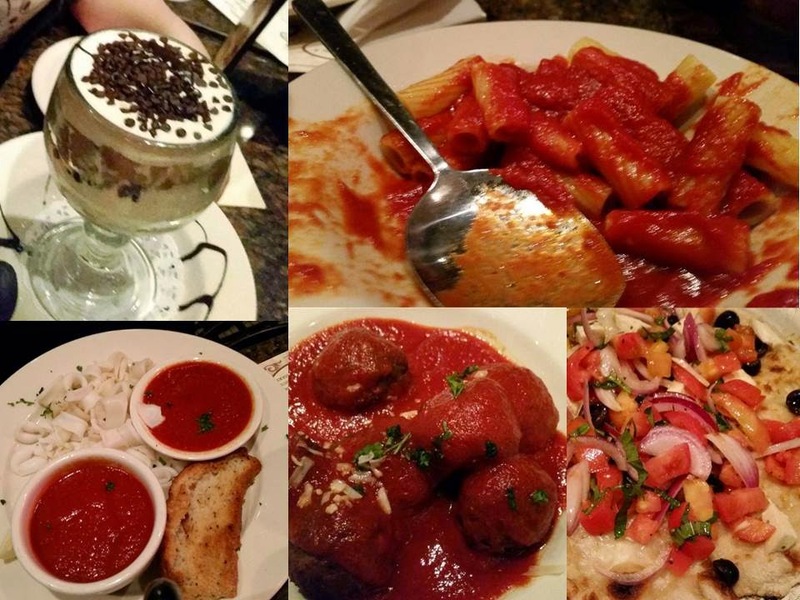 Bobby’s dream was to introduce Long Islanders to the intricate flavors of Italian cuisine and all the culture that comes with them. 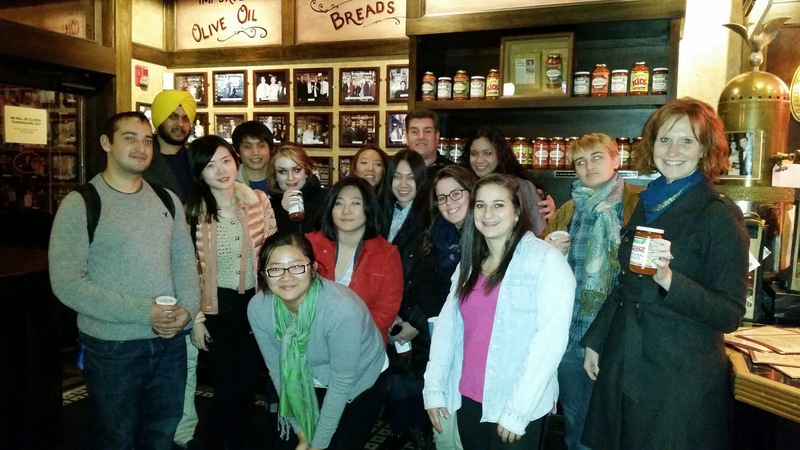 After dining in Vincent’s Clam Bar that evening, we definitely got a taste of Italian cuisine, culture, and Bobby’s dream! Thanking Anita and Bobby, we walked out of Vincent’s towards campus with our stomachs and hearts full and satisfied. Each participant was given a jar of Vincent’s Clam Bar sauce to take home. MISPO goes to the Apollo! Students giving back through Hofstra University!